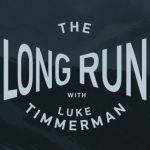 Bob Langer is today’s guest on The Long Run. 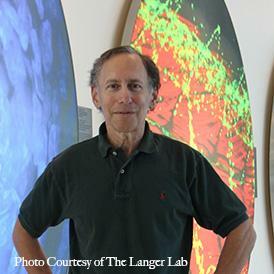 Langer, an Institute Professor at MIT, is one of the nation’s most accomplished scientists and scientific entrepreneurs. Much of his work has focused over the years on tissue engineering and drug delivery systems. It would take half this show to list all of Bob’s contributions to biotechnology, so I won’t. But the short version goes something like this. He’s one of just a handful of people ever elected by peers to all three National Academies. He’s won the top awards for science and engineering from the Queen of England and two U.S. Presidents. He’s had a hand in founding more than 20 biotech companies. He’s the most cited engineer in history, and the 6th-most cited scientist ever, according to Google Scholar’s H Index. Langer recently turned 70 years old, and he’s still running a lab of 100 people who are thinking big. One recent project of note: A sort of biodegradable “needle” that can be swallowed, and still deliver insulin for diabetics, without the need for shots. I’ve known Bob for about 10 years, mainly focusing on startups he’s had a hand in creating. Despite his lofty accomplishments and busy schedule, I’ve always found him courteous and responsive and a pleasure to interview. More than 600 people – former students, colleagues, partners and the like – showed up for his 70th birthday symposium last fall. Bob’s path to success, like most, didn’t always move along in a straight line. In this conversation, he’s quite open about some of the tricky junctures he encountered along the way. His resilient character – he would call it ‘stubbornness’ – has been every bit as important to his success as his intellect. Now, please join me and Bob Langer on The Long Run.